I always love using the stair parlor for my seasonal decor, and Mardi Gras is certainly no exception. The central table is the perfect place to display seasonal goods and curiosities. I love keeping collections displayed together, so the Muses shoes look lovely around an arrangement of purple, green, and gold plumes. The base of the arrangement is a king cake work of art by NOLA artist Gwen Markovich of Dat's Awtsy. I cannot wait to add some great shoes from this years Muses parade, one of my favorites. Nyx glittered purses are housed in a large clam shell below the table. 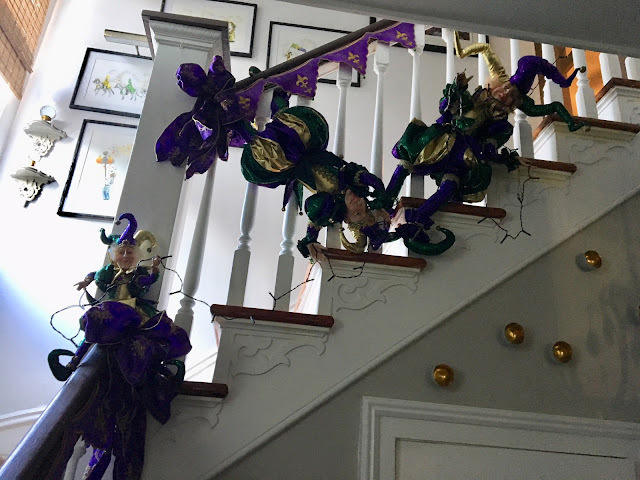 Several whimsical jesters hang along the ribbon lined staircase. The jesters were purchased years ago from Green Acres Nursery in Thibodaux, LA. 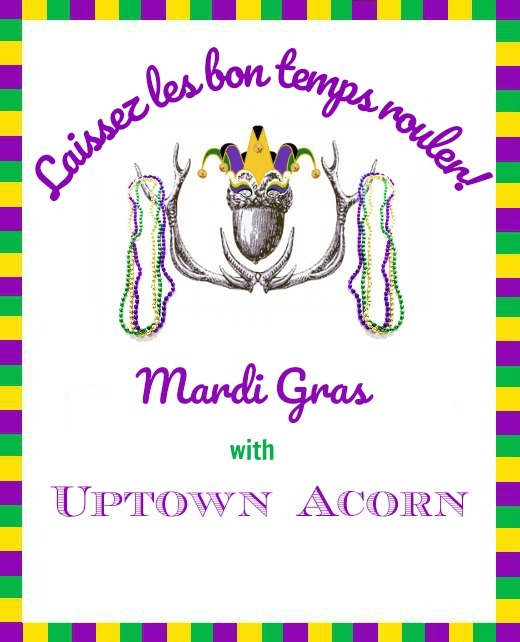 The season is coming full steam ahead with many of the first parades starting this weekend. Are you parade ready? 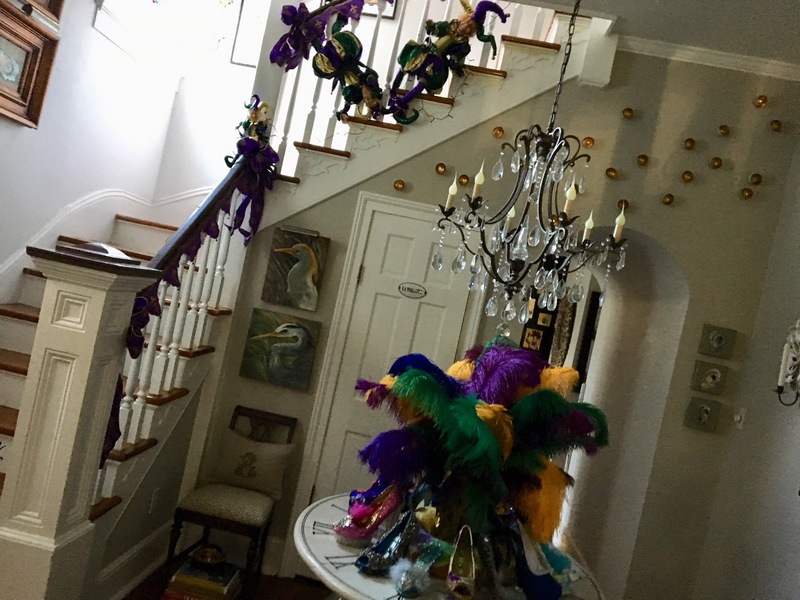 Mardi Gras in the stair parlor, y'all!